ONE WHEEL - 13X5,5 inches - All Chrome Wire Wheels. Very solid wheels, reverse style used for lowrider (Chevrolet, Cadillac, Pontiac, etc.). 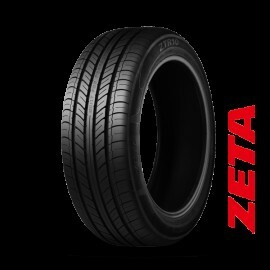 Usually used when the car have fender skirts(rear). 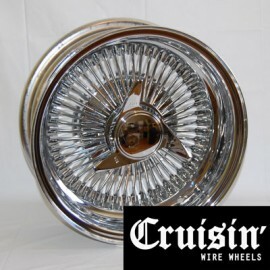 Comes w..
Set of 4 - 13X5,5 inches - All Chrome Wire Wheels. Very solid wheels, reverse style used for lowrider (Chevrolet, Cadillac, Pontiac, etc.). Usually used when the car have fender skirts(rear). 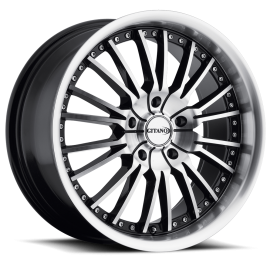 Comes wi..
ONE WHEEL - 13X7 inches - All Chrome Wire Wheels. Very solid wheels, reverse style used for lowrider (Chevrolet, Cadillac, Pontiac, etc.). 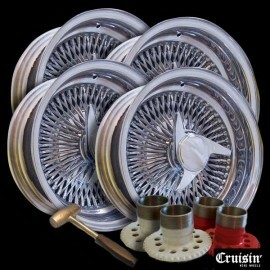 Comes with choice of knock off and adapters with the right bo..
Set of 4 - 13X7 inches - All Chrome Wire Wheels. Very solid wheels, reverse style used for lowrider (Chevrolet, Cadillac, Pontiac, etc.). 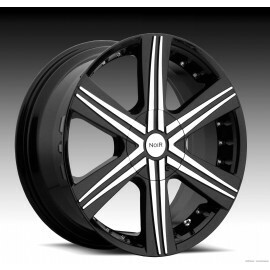 OFFSET: 0 to +20 WHEEL WIDE: 7" WHEEL DIAMETER: 13" NUM..